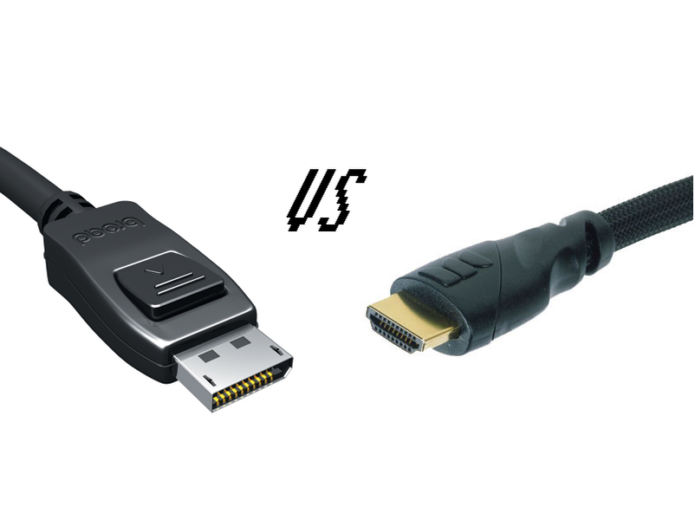 HDMI vs DisplayPort: Which display interface reigns supreme? Both are capable of sending high-def video and audio from a source device to a display. So what’s the difference? 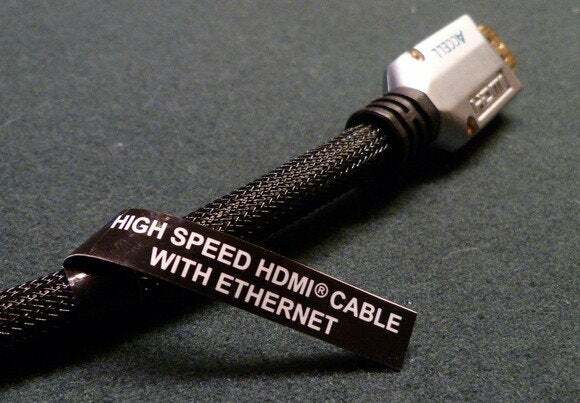 High Speed HDMI Cable: Provides more bandwidth, and can carry video with a resolution of 1080p or higher (up to 4096×2160, or 4K, but at a maximum refresh rate of just 24Hz, which is fine for movies, but terrible for games). This type of cable can also handle 3D video. DisplayPort cables are much simpler to define: There’s just one type! (Available here on Amazon.) The current version, DisplayPort 1.3, delivers enough bandwidth to carry video resolutions of up to 3840×2160 pixels at a refresh rate of 60Hz, and it supports all common 3D video formats. DisplayPort cables can also carry multichannel digital audio. On the other hand, DisplayPort can’t carry ethernet data, and the standard doesn’t have an audio return channel. A passive copper DisplayPort cable can support extremely high data rates (a video resolution of up to 3840×2160) over a length of 6.5 feet. If you want to run a passive copper DisplayPort cable as long as 50 feet, the standard says you’ll be limited to 1080p resolution—but the spec is conservative, and in practice that 50-foot cable can carry enough data to support resolutions as high as 2560×1600 (sufficient for a 30-inch display). 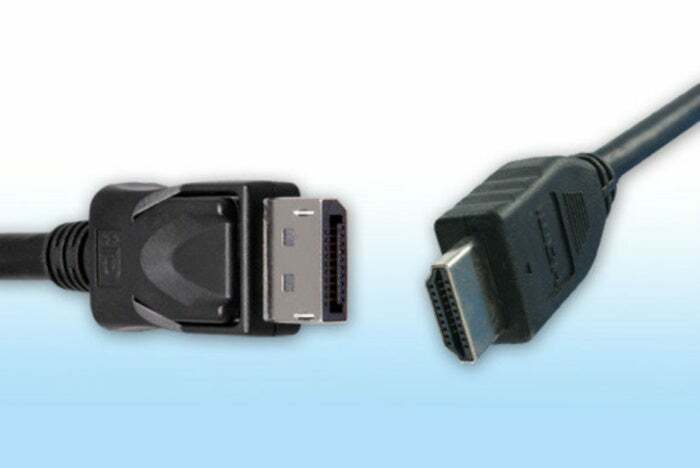 An active copper DisplayPort cable, which draws power from the DisplayPort connector to operate a signal amplifier embedded in the connector, can carry video with a resolution of 2560×1600 over a 65-foot cable. Finally, fiber DisplayPort cables can be hundreds of feet long. A single DisplayPort interface can support up to four monitors at 1920×1200-pixel resolution each, or two monitors at 2560×1600-pixel resolution, with each display receiving independent audio and video streams. And since some GPUs can support multiple DisplayPort interfaces, you can daisy-chain compatible monitors to connect as many as six displays to one source.